Despite the terror and uncertainty brought by the Second World War and the Japanese rule in the country, playing and listening to music were among the leisure activities that somehow made life bearable for Filipinos. Under their rule, the Japanese imposed their own music on the country. Japanese music was heard daily in radio broadcasts. Their songs were also taught in public schools. Students, however, never took these songs to heart. The performance of jazz and Western music identified with the allied nations of the war was prohibited. Hence, the Japanese held conferences and lectures on Oriental music in Manila with the hope of diverting the loyalty of the Filipinos away from the Americans. The first was a Japanese Musical Mission to the Philippines held on May 7, 1943, with the support of the New Philippine Musical Federation headed by Kosak Yamada. The Japanese nevertheless encouraged the creation and performance of music with native themes through music contests. 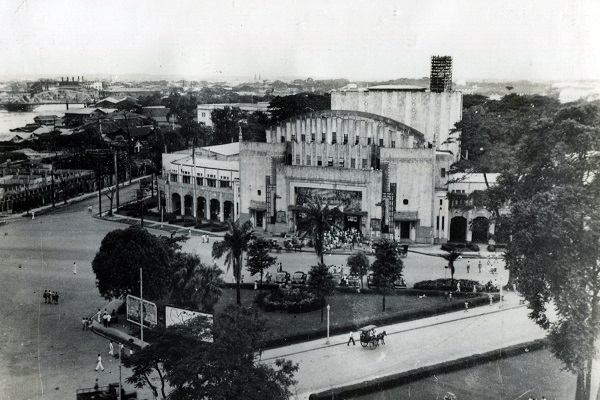 Concerts were also a common form of amusement for Filipinos at the time and the Metropolitan Theater became an important venue for cultural events. Classical music, including opera, flourished during the war. For instance, the New Philippine Symphony, the first all-Filipino orchestra, was organized. It performed an all-Philippine symphonic program in July 1942, with Francisco Santiago as conductor. The Philippine Conservatory of Music, an affiliate of the Philippine Women’s University, was one of the few music schools in the country that opened during the war. Music-making remained a popular pastime in homes. Families sang and played musical instruments to entertain themselves. On special occasions, families held special concerts for themselves, as well as their friends. All these prove that even during turbulent times, Filipinos’ love of music could never be suppressed. Bañas, Raymundo C. Pilipino Music and Theater. Quezon City: Manlapaz Publishing Co., 1975. Kasilag, Lucrecia R. “Music in a New Era,” Filipino Heritage: the Making of a Nation, vol. 10, 1978. Kintanar, Thelma, et al. Kuwentong Bayan: Noong Panahon ng Hapon. Quezon City: University of the Philippines Press, 2006.